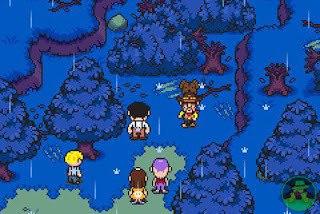 Nintendo's "ho hum" attitude towards the future of its Mother/Earthbound series in the States confounds me to no end. OK, so Earthbound on the SNES didn't break sales records--that's the case for quite a few of the Japanese giant's titles, yet they've brought out sequels for many of them. First we didn't get a the Mother 1+2 compilation for the GBA, and now we're not getting Mother 3 either (as far as anyone can tell). Thankfully it seems we don't need to rely on Ninty for either title, as the emulation community has stepped up to the plate to release English-language patches for both games.